As domestic violence allegations have surfaced more frequently in custody-litigating families, child custody evaluation has become increasingly challenging, and competing paradigms and research claims have contributed to gender bias in the process. The volume of unrepresented litigants has also strained the system. For legal and social service advocates serving domestic violence victims, mitigating gender bias in the system is essential. This tipsheet identifies the differing dynamics of domestic and family violence in Asian homes and how a deeper understanding of these cultural contexts can guide and improve practice in child custody evaluations when there are allegations of domestic violence. 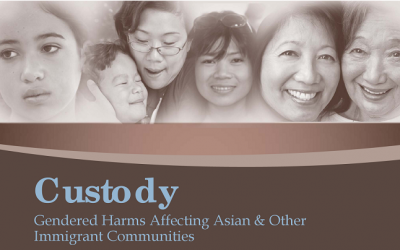 These training slides address considerations affecting Asian and other immigrants, and the implications for mediators and child custody evaluators. Association of Family and Conciliation Courts: Guidelines for Examining Intimate Partner Violence: A Supplement to the AFCC Model Standards of Practice for Child Custody Evaluation (2016): guidelines for child custody evaluators on identifying intimate partner violence and the effects on children, parenting and co-parenting when making custody determinations.